The International Olympic Committee (IOC) has said that Chinese Taipei cannot change its name to Taiwan at the Tokyo 2020 Olympics. The Chinese Taipei Olympic Committee (CTOC) said the IOC had decided “to not approve a name change” during their Executive Committee meeting at the beginning of May, as reported by Taiwan News. After receiving a confirmation letter from the IOC, the CTOC forwarded it to the Sports Administration of the Ministry of Education, the Ministry of Foreign Affairs, the Cabinet and other departments. It comes after many non-Governmental organisations in Taiwan promoted a “2020 Tokyo Olympics Taiwan Renaming Referendum,” which brought a large amount of attention to the issue which stems from a dispute with China. According to CTOC secretary general Shen Yi-ting, IOC President Thomas Bach was aware of and concerned about the referendum situation which the CTOC had not officially called for. “The referendum to support name change for Taiwan at the Games was not led by the CTOC, so we cannot intervene,” said Shen. Chinese Taipei’s IOC member CK Wu, the former President of the International Boxing Association, has now called for the decision to be respected. “When an athlete performs well, people will say we come from Taiwan,” he said. The name dispute comes from China’s claim to Taiwan, which is officially called the Republic of China (ROC). The country is referred to as Chinese Taipei at all editions of the Olympic Games and they are not allowed their flag or anthem. These terms were agreed in the late 1970s after China rejected allowing the country to participate independently at the 1976 Summer Games in Montreal. Taiwan boycotted the Games in the Canadian city and the following edition in Moscow four years later after they were not permitted to use the ROC name. They participated for the first time as Chinese Taipei, a nation that technically does not exist, at the 1984 Winter Olympics in Sarajevo. 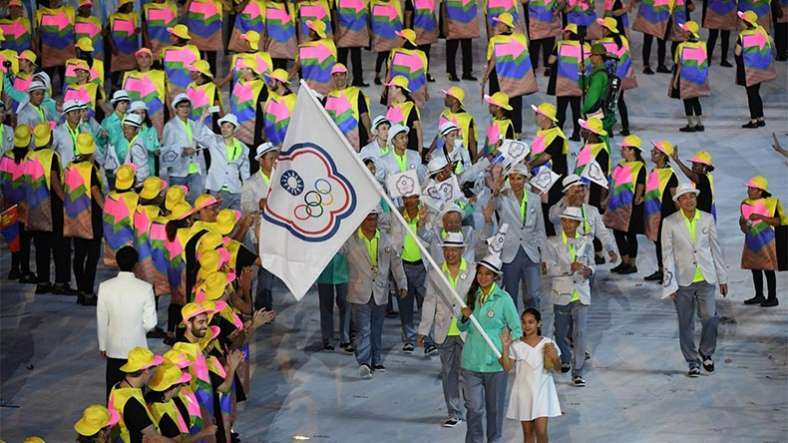 It came after the IOC passed the Nagoya Resolution, forcing Taiwan to use the name Chinese Taipei and banning its Olympic Committee from using the ROC flag or national anthem. Chinese Taipei won three medals at the Rio 2016 Olympic Games, with weightlifter Hsu Shu-ching their sole gold medalist as she won the women’s 53 kilograms competition. insidethegames has approached the IOC for comment.